DEL MAR — As part of a program to increase train safety, an existing pole north of the old train station will be replaced by year’s end with an antenna about 3 feet taller. In 2008, Congress passed the Railway Safety Improvement Act in response to several fatal rail accidents between 2002 and 2008 — the most notable being a 2008 collision in which 25 people died after a Metrolink train, en route from Los Angeles to Moorpark, rammed a freight train in Chatsworth. The new law requires Positive Train Control, a GPS-based technology that can prevent train-to-train collisions, derailments caused by excessive speed and unauthorized train entry into a work zone. Positive Train Control will continuously monitor train movements and, if necessary, bring them to a safe stop to prevent accidents. The Federal Railroad Administration’s first safety program since 1994, Positive Train Control must be in place by Dec. 31, 2015, “which is a very aggressive implementation for an emerging technology,” Eric Roe, North County Transit District’s deputy chief operating officer for rail systems, told council members at the July 1 meeting. NCTD will install 19 antennas along its 60-mile heavy rail corridor that runs from the Orange County line to the Santa Fe Depot in San Diego. In some areas along that track, trains reach speeds of 90 mph. The rail line also includes a 2.2 percent grade up to Miramar, “which is considered heavy for a railroad,” Roe said. 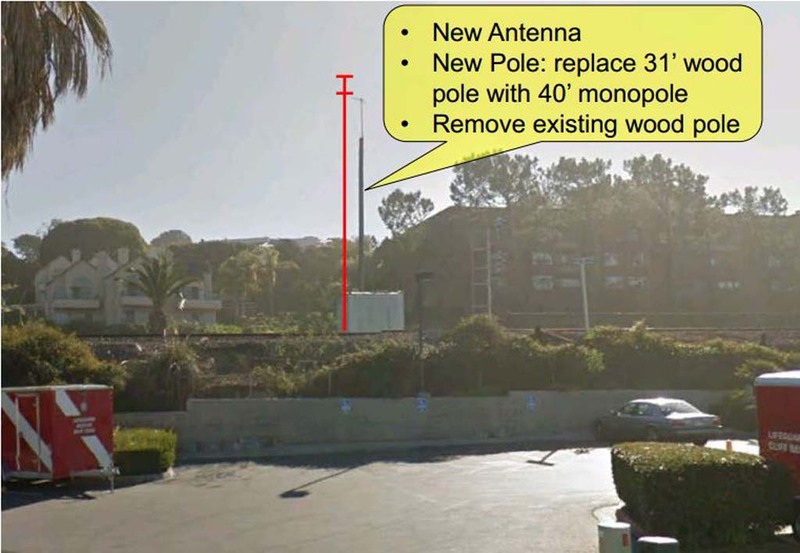 An existing wood pole in Del Mar, which is 31 feet high with a 6-foot steel extension, will be removed and replaced by a single pole with a small tilt-down tower 4 inches wide toward the top. Roe said NCTD considered using a palm tree disguise but there was negative feedback because of the view profile. The palm tree has a 16-foot bundle width at the top, making it taller than the tilt-down model. It would also be wider at the bottom and not serviceable from the ground. The tower can be safely operated from the ground, and big bucket trucks wouldn’t be needed for service. A palm would also require a lot of excavation to install the necessary large foundation, Roe said. 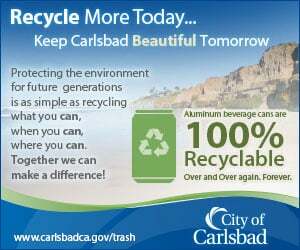 The project is fully funded by the state Department of Transportation, federal and state grants, TransNet tax money and the California Emergency Management Agency. Roe said NCTD currently has no plans to co-locate anything else on the towers. “We are trying to … make sure that we put in the smallest tower possible to minimize the view impacts,” he said. Councilman Don Mosier, the city’s NCTD liaison, said the Positive Train Control system is likely to be one of the first operating in the country.